Memory Albums are simply triggers that prompt us to remember great times in our life. The triggers can be photos or other visual items that, hopefully, trigger positive memories and create opportunities to reminisce. Why develop a Memory Album? Reminiscing is an important part of our lives right from the time that we are young. Young children will ask “Tell me again about the day I took my first step, or that first time you took me camping.” It is how children learn their life story and reconcile all the family connections. In later life, reminiscing is how older adults get in touch with things and times that were important to them. This helps us to maintain sense identity, builds self-esteem and helps raise the overall quality of life. At a time when older adults may feel vulnerable, isolated or lonely, recalling and communicating their experiences helps to improve their mental, emotional, and social well-being. We are all storytellers. That’s how we share knowledge, pass along history and tradition, and entertain ourselves. In our imagination we construct our stories. Sometimes the stories that people with dementia tell of their life events get mixed up with other times or with the stimulation around them and may not be as they actually happened. They may be out of order because of changes to our semantic memory. 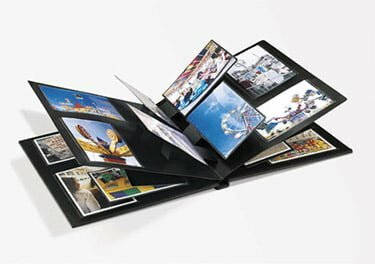 Using a Memory Album, which includes not only the photo, but the story that goes along with it, helps us to resolve the difficulties with semantic memory. How do I put together a Memory Album? It is a good idea to include only one photo or collection of photos about one life event per page. Adding the story about the photo on the page opposite allows those who do not know the life story (our staff and volunteers) to use the book successfully with your relative. Glacier View Lodge has a scanner so that original photos may be preserved. Assistance is available from the Activation and Spiritual Care Staff in putting together a Memory Album.